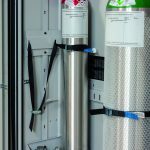 Certified to EN 14470-2 standard, our cabinets offer a cost effective, peace of mind solution for storing compressed gas indoors. From the European leader in hazardous storage, Asecos, our 30 and 90 minute rated cabinets offer the highest available quality and all come with a 5 year warranty. Below you will find more information on the differences in models, and an explanation of each range we offer. All cabinets are available in Grey (RAL7095) on a 6 – 8 week lead time, or Yellow (RAL1004) on a 10 – 12 week lead time. 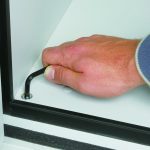 Standard Delivery – This is free and included on all cabinets. This includes delivery to goods inwards. This can be problematic for smaller organisations without large teams to help moving the units. Therefore, we also offer Point of Use delivery. Point of Use Delivery – An optional service that we highly recommend, Point of Use (PoU) ensures delivery of your unit is hassle free. 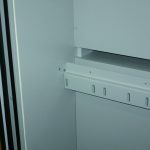 The cabinet is delivered to where the required location, packaging removed, and the unit levelled off ready for use and connection. Point of Use delivery is subject to a site survey. 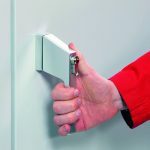 While it is an extra cost, it ensures you are left with a cabinet ready to go, and avoid the unpleasant situation of having a 500kg+ cabinet blocking access at goods inwards.